Favorite Line: "She thinks that merely by being forceful and independent she can make a decent life, but that just isn't true- life is tended and weeded and watered, is created out of effort, and is made from other materials than oneself." Note: Apologies for the formatting on this post; Blogger will not allow me to fix it. A major literary debut that explores class, culture, power, and desire among the ruling and servant classes of Pakistan. 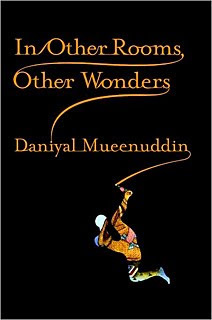 In the spirit of Joyce's Dubliners and Turgenev's A Sportsman's Sketches, Daniyal Mueenuddin's collection of linked stories illuminates a place and a people through an examination of the entwined lives of landowners and their retainers on the Gurmani family farm in the countryside outside of Lahore, Pakistan. An aging feudal landlord's household staff, the villagers who depend on his favor, and a network of relations near and far who have sought their fortune in the cities confront the advantages and constraints of station, the dissolution of old ways, and the shock of change. Mueenuddin bares—at times humorously, at times tragically—the complexities of Pakistani class and culture and presents a vivid picture of a time and a place, of the old powers and the new, as the Pakistani feudal order is undermined and transformed. This week has been a difficult one for me for a myriad of reasons, but the most important one is that my aunt- one of my dad's older sisters- passed away on Tuesday. I can’t say that it was "unexpected," as she has been bedridden for several years, but it was certainly surprising how quickly it all happened, at least to me. I don't know if people without family or friends in very faraway places can truly comprehend the sense of isolation and distance one can feel at times like that- when you hear, over a staticky phone call, that someone is "not doing well," and are left to make sense of what those cryptic words might mean. And then find out, via a short message left on the answering machine, exactly how serious they are. I last went to India for my grandfather’s funeral in August, 2007. Since then, one of my uncles has passed away and now my aunt has as well. This means that the next trip I take to India, whenever it is, will be drastically and completely different than any one before it, as three very prominent figures in all my memories involving that country will no longer be there to greet me. That’s another thing that is difficult to come to terms with- my aunt’s death, my uncle’s, and even my grandfather’s over a year ago, will not seem real to me until I go to India once more and fully understand the loss of none of them being there to welcome me back. I don’t even know when I will next go to India. But what does all this have to do with the book? Maybe it’s a case of reading the right book at the right time. I have been feeling very reflective and reminiscent, especially about all the time I’ve spent in India. And this collection of short stories is written by a South Asian about life in Pakistan. Perhaps there’s a connection. I absolutely loved this book. I am positive that it will be my top read for 2008. In the midst of a chaotic and emotionally draining week, it returned to me that delicious feeling of becoming completely immersed in a story and forgetting about everything else that surrounds you. I don’t remember the last time a book did that for me. I finished it this evening, having made my very own fire, with a glass of wine beside me and a blanket on top of me, and felt so completely content. I had forgotten, until tonight, just how much I love being surrounded by a huge city, completely alive and loud and freezing, while I curl up on the sofa in my silent house, alone with a book. Daniyal Mueenuddin’s book of nine short stories is exquisite. My favorite stories are the last two, Lily and A Spoiled Man. But all of them are wonderful. More than anything, they evoke a very strong sense of place- and that place is Pakistan, vibrant, corrupt and indelibly leaving its imprint on the lives of its residents. Reading it reminded me so much of time spent in India, but none of the stories was anything like my experiences there. I think any reader would have the same reaction as me, though, because Mueenuddin’s writing is so rich, so evocative, that one is completely drawn into the lives of his characters, though none of the stories is over fifty pages in length. I generally do not like short stories as I don’t think they have enough time to develop and give me a vested interest in them- this is not the case with Muenuddin’s book. I read the last sentence of the last story and felt completely satisfied. Hours later, I am still completely mesmerized by it. The stories are far more about the characters and morality in a corrupt world than anything else. There are no happy endings- there are just endings. Each story is heart-breaking and exquisite. There is a sense of disconnect between the characters and the world they live in which I identified so strongly with, more than I ever thought I would. Everyone feels disconnected from the people around them sometimes, I know, but to connect so strongly with such a varied cast of characters and their sense of loneliness speaks volumes about the author’s writing ability. I don’t think I can rave enough about it- just be sure to put it on your list. The book will be published in the United States on February 1, 2009. I highly recommend the purchase. Wonderful review Aarti! I just added this book to my TBR. I am so sorry about your Aunt and Uncle. My thoughts are with you.